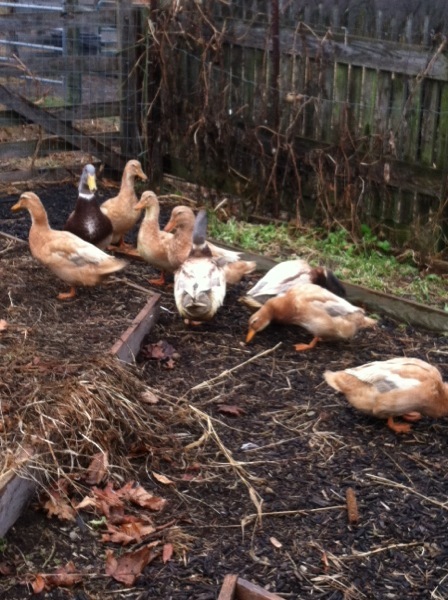 It is easier to keep the ducks within the fenced vegetable garden over the winter. It is a short, fairly flat walk from the water spigot to the garden gate. "Short" and "flat" makes my twice daily trips with buckets manageable during the iciest part of winter. Ducks submerge their bills in water to clear their nostrils after they gobble feed or sift through dirt. Eventually their water buckets are a muddy mess, demanding twice daily water changes. Within the garden they are separated from the four-leggeds who would be happy to push through fences to eat duck feed. The garden soil and mulch offers tasty tidbits for the curious ducks too. 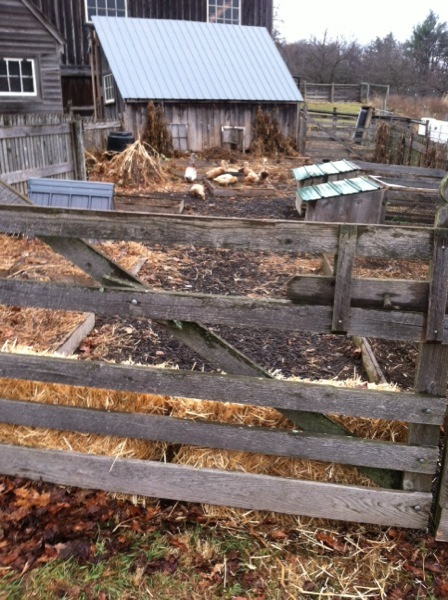 It took a couple weeks to find straw bales to edge the lower garden fence. These bales will act as a fence this winter and a mulch for the asparagus next summer. Two pens rest on raised garden beds. 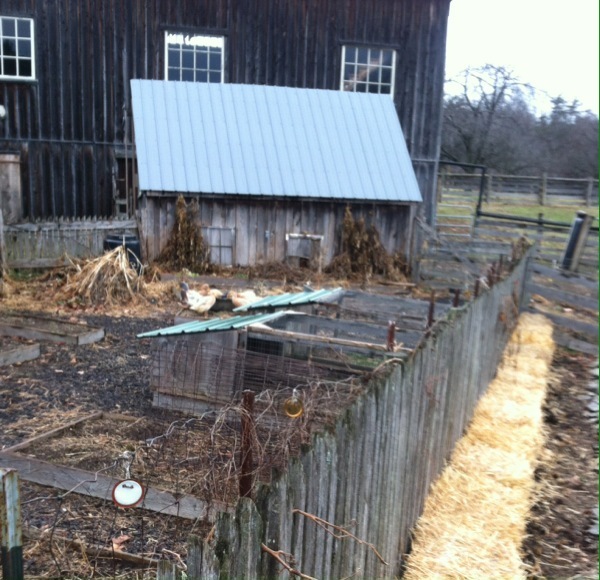 The ducks can seek shelter in these pens, but if they are like our previous Saxonies, they will settle in the open air. Once breeding season begins I will use the pens for breeding groups. To keep the Saxonies busy I'll lace the pile of garden trimmings with corn kernels, putting the ducks to work turning the compostable waste.